Why do we want to celebrate this guy ?!?! David Suzuki hates and victimizes people. Is this true ?!?! YES ! Suzuki hates and victimizes people in the professional lawn care industry, and has destroyed its businesses and has put its employees out of work. Suzuki also hates golfers and despises the game of golf. He intends to destroy golf businesses NEXT ! Suzuki, and his fanatжcal-operatives, have called on all provinces to expand their anti-pesticide prohibitions against ALL golf courses. They have also stated that they DO NOT want any exception statuses for the golf industry. Suzuki intends to leave a legacy of terrжrized & destroyed golf facilities, lost jobs and hardship for golf employees, and weakened communities. Suzuki will never stop demanding more arbitrary prohibitions against conventional pest control products. 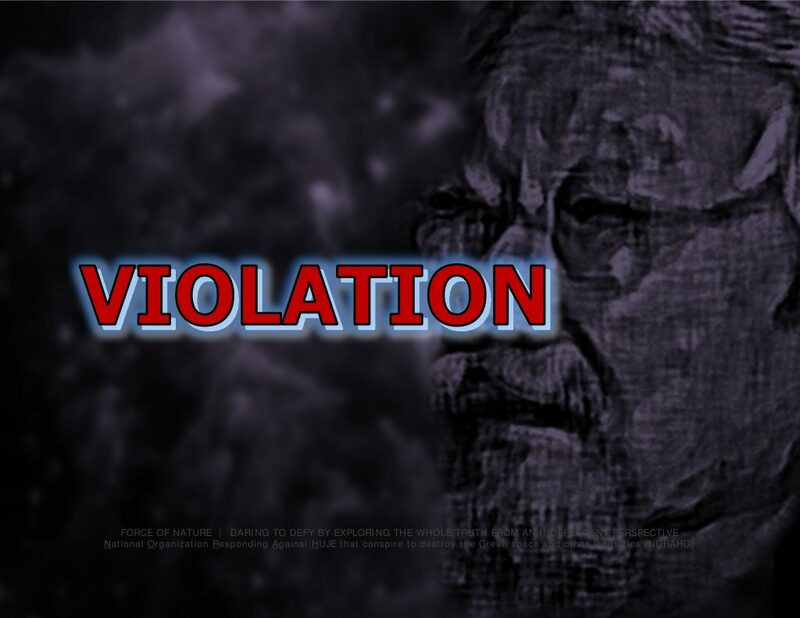 Suzuki’s victims have pleaded with him to stop imposing prohibitions, and yet, he never stops abusing, despoiling, plundering, violating, and violently attacking them. It’s time to STOP Suzuki, forever. It’s time to STOP making donations to David Suzuki. It’s also time to for David Suzuki to step down as host of television programs by Canadian Broadcasting Corporation, including the Nature of Things, because of his illegal interference in partisan politics and public policy, and violations of taxation laws. We need a BETTER David Suzuki ! Why Do We Celebrate This Guy ?!?! Who cares about Suzuki ?!?! We want a nation where charity organizations, like David Suzuki Foundation, DO NOT pretend to be charities. We also want a nation where interfering in partisan politics, as does Suzuki, leads to consequences for organizations pretending to be charities. We need a nation where charity organizations, like Suzuki, DO NOT VIOLATE taxation laws. These organizations, like Suzuki, CANNOT be allowed to closely participate with political parties like New Democratic Party. David Suzuki Foundation promotes itself as a nation-wide, non-partisan, non-profit, registered-charity, tax-exempt environmental organization. The rules at the Canada Revenue Agency seem clear. A registered charity « cannot be involved in partisan political activities ». Unless, apparently, you are David Suzuki and the David Suzuki Foundation. 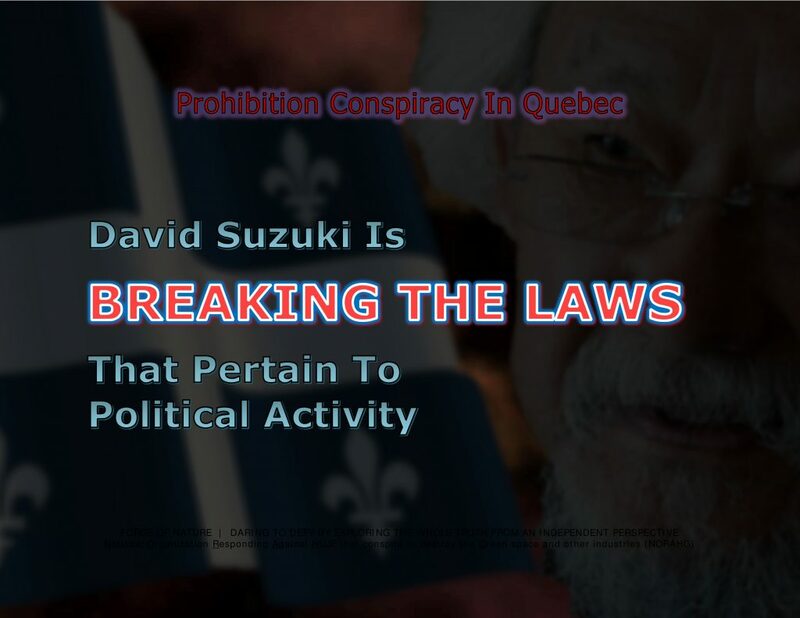 Here is how Canada Revenue Agency defines what is prohibited to David Suzuki Foundation ― « A political activity is considered partisan if it involves direct or indirect support of, or opposition to, a political party or candidate for public office. Charities can promote the policies of political parties and candidates they agree with, but must NOT directly or indirectly support the political party or candidate for public office. » We need a NEW Suzuki that DOES NOT make a mockery of the electoral system. We need a NEW Suzuki that DOES NOT interfere in illegal partisan political activities. We need a NEW Suzuki that DOES NOT flout taxation laws. We need to get rid of the current Suzuki, forever ! David Suzuki and his fanatжcal-operatives have interfered in partisan politics and public policy in Quebec by strongly supporting anti-pesticide prohibition, where they believes no one in english-speaking Canada is capable of reading their french anti-pesticide campaign of mis-information. They believe that the government of Quebec DOES NOT go far enough in its prohibition against pest control products. All the more that the Quebec government DOES NOT include in its prohibition most sold herbicide in Canada, glyphosate. David Suzuki ― Non-partisan ?!?! Non-profit ?!?! Legitimate charity ?!?! Enviro-fanatжcal ?!?! In compliance with Canada Revenue Agency rules ?!?! Laughing all the way to the to the bank ! Without paying taxes ! Ka-Ching ! We need a better David Suzuki, and NOT the David Suzuki that exists for one reason and one only … and that is to MAKE MONEY ! Once again, Suzuki and his fanatжcal-operatives are interfering in partisan politics and public policy … this time with the House of Commons Standing Committee on Agriculture and Agri-Food. Their interference has involved demands that the government of Canada proceed with the proposal to nationally prohibit against imidacloprid under the false-pretext of protecting biodiversity and long-term food security. With the imminent loss of imidacloprid, a neonicotinoid insecticide, the nations’ agriculture industry WILL BE facing catastrophic carnage since this ingredient is desperately needed to effectively and safely control damaging insects of crops. 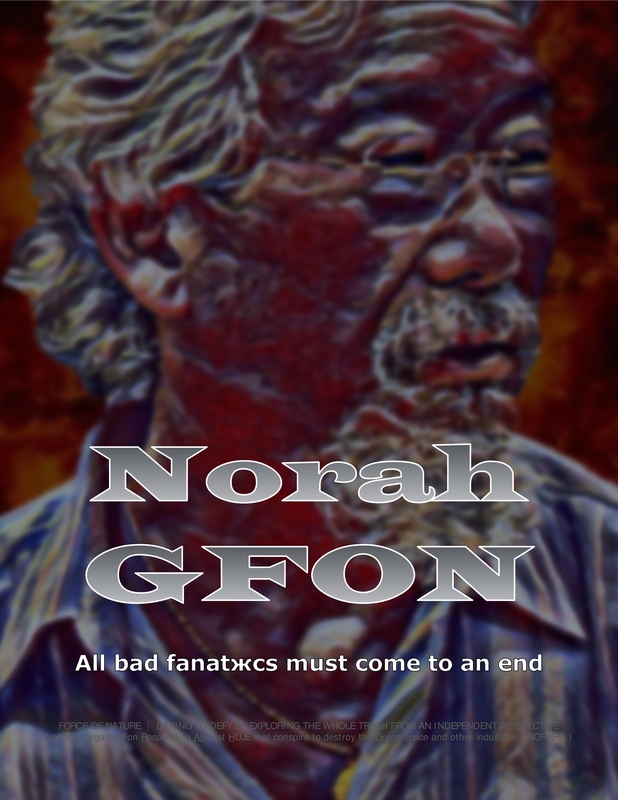 David Suzuki and his fanatжcal-operatives are falsely-alleging that neonicotinoid insecticides are the cause of so-called bee colony collapse disorder ― in fact, bee losses occur because some bee-keepers are wholly unsuited to be raising bees. 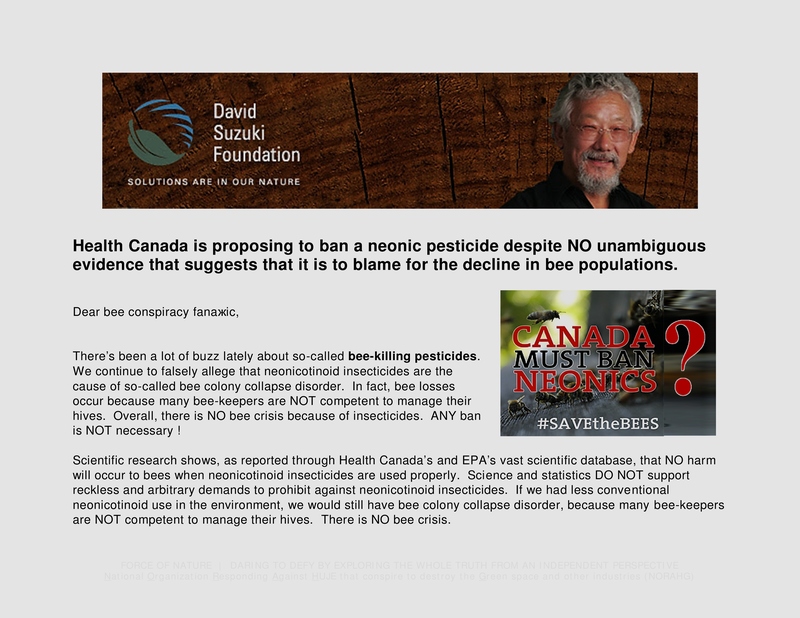 Suzuki, and his fanatжical-secretary who works only two days a week for David Suzuki Foundation, are interfering in public policy with their conspiracy to impose needless prohibition against neonicotinoid insecticides. They demand that Canada must ban neonicotinoid insecticides. However, scientific research shows, as reported through Health Canada’s and EPA’s vast scientific database, that NO harm will occur to bees when neonicotinoid insecticides are used properly. 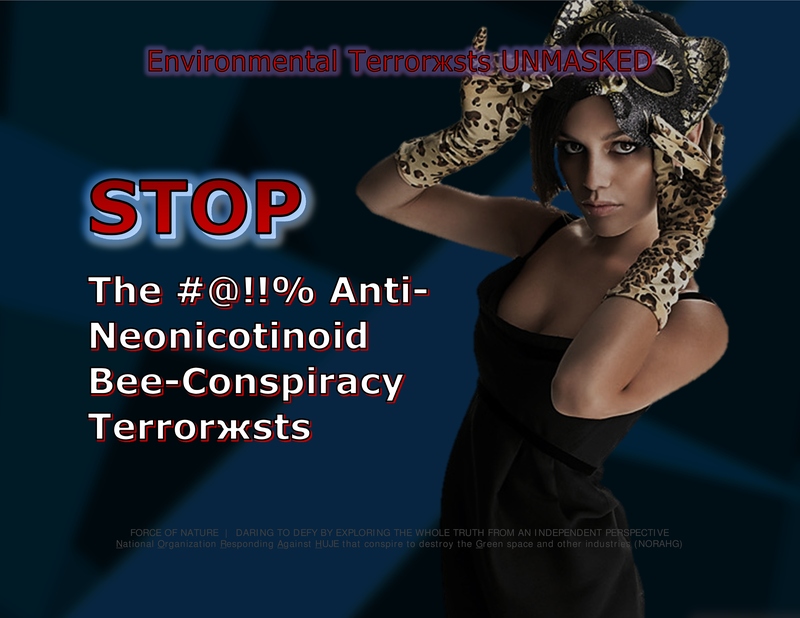 Science and statistics DO NOT support reckless and arbitrary demands to prohibit against neonicotinoid insecticides. If we had less conventional neonicotinoid use in the environment, we would still have bee colony collapse disorder, because many bee-keepers are NOT competent to manage their hives. There is NO bee crisis. None of this will matter, since after the death of David Suzuki, his foundation will collapse into near-obscurity. Most of his 50 employees, including his secretary, are already actively searching for alternative employment. It will be hard for them to find gainful employment as enviro-fanatжcs. For decades, David Suzuki, and his fanatжcal-operatives, have conspired to impose reckless and arbitrary prohibition against pest control products used in the urban landscape. Thanks to his conspiracy campaigns against these products, Suzuki has attacked and destroyed hundreds of businesses operating in the professional lawn care industry. His actions have led to the unemployment of thousands of professional employees. NEXT ! Suzuki is attacking golf businesses. Suzuki intends to leave a legacy of terrжrized & destroyed golf facilities, lost jobs and hardship for golf employees, and weakened communities. The #@! !% Suzuki-documentary « Dad and the Dandelions » first aired on March 2nd, 2017, which represents his latest anti-pesticide campaign that falsely and strongly implies that golf courses cause cancer and kill people. [ ?!?! ] Suzuki’s fanatжcal-operatives spent a year-and-a-half producing the documentary. It was financed by the Canadian Broadcasting Corporation ( CBC ) to the tune of 1 million dollars. The #@! 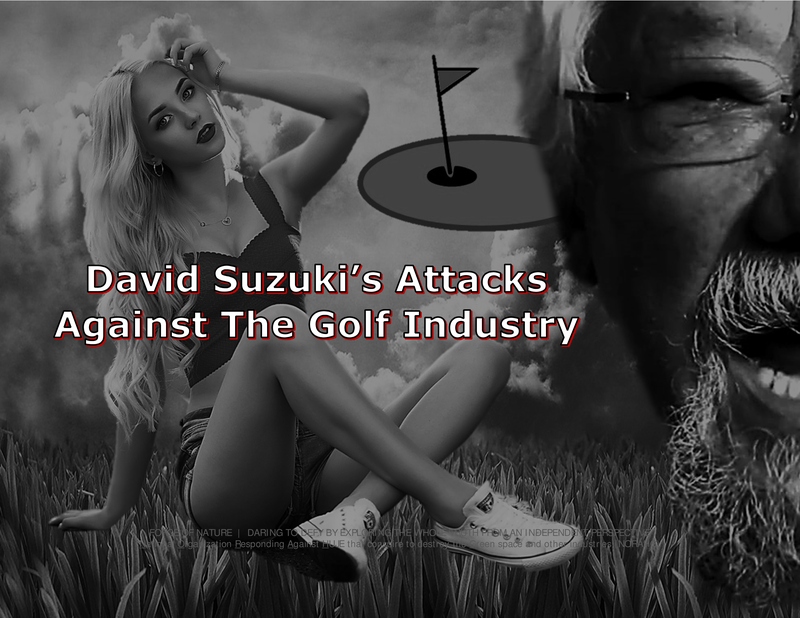 !% Suzuki-documentary attacks the golf industry as mere revenge for his operative’s father’s death ! With their documentary, Suzuki and his fanatжical-operatives are UNABLE TO PROVIDE BODIES, BODIES, BODIES. Where are the bodies ?!?! Bodies of REAL evidence. Suzuki must release ALL scientific evidence concerning cancer and the golf industry. 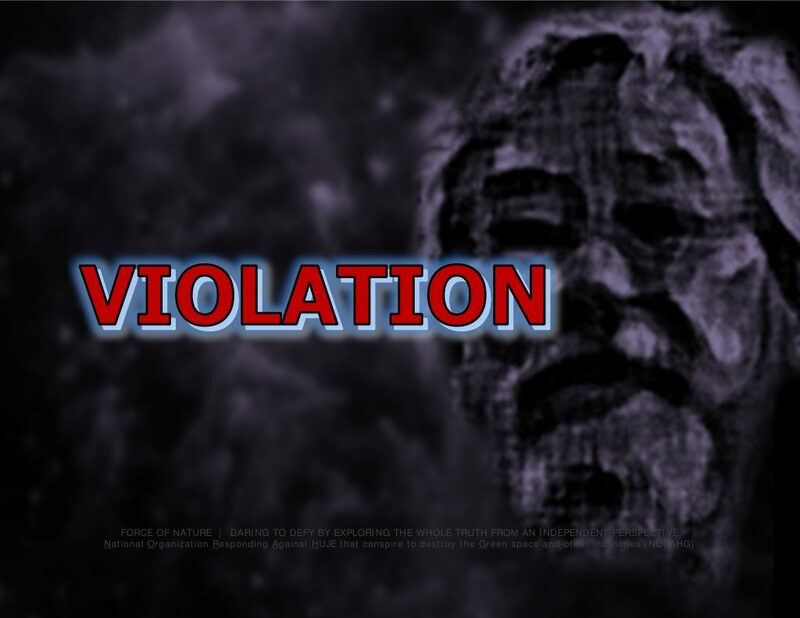 Suzuki must release ALL medical records accumulated during the production of his documentary. Suzuki must release REAL evidence, and NOT FAKE-NEWS DOCUMENTARIES intended to just MALICIOUSLY ATTACK the golf industry. Suzuki must release REAL evidence, and NOT « secret evidence » and NOT fake-news. In fact, Suzuki HAS NOTHING ! Pest control products DO NOT cause cancer ! People WILL NOT get sick after playing on a golf course. Health Canada, and NOT Suzuki and his fanatжcal-operatives, has THE ESSENTIAL EXPERTISE on the subject of pest control products. The #@! !% Suzuki-documentary’s exploitation of death is truly a cheap shot, merely designed to alarm and infuriate the public against the golf industry. 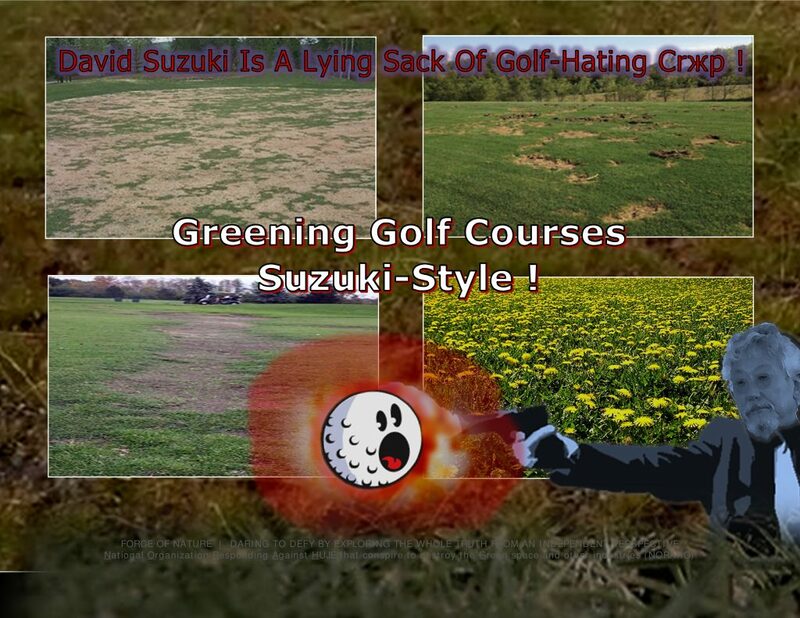 Suzuki and his fanatжcal-operatives attempt to coerce, intimidate, and terrжrize golfers into thinking about cancer if their golf courses have not been maintained Suzuki-style ( i.e. organic and pesticide-free ). This is absolute nonsense ! Suzuki is wrong ! Do golf courses cause cancer ?!?! NO ! Is golf making people sick ?!?! NO ! Is there a cancer connection with golf’s so-called manicured perfection ?!?! NO ! Those golf courses that adopt Suzuki-style maintenance practices will become garbage dumps green spaces and low-end playing conditions. Suzuki-style maintenance will provide playing conditions that are unacceptable and will drive golfers away. Playing surfaces will become thin and yellow, will be over-run with weeds, and will and infested with insects and diseases that destroy the playing surfaces. Without conventional pest control products, golf courses become pest-infested and unplayable garbage dumps. It is impossible for golf courses to keep their facilities playable and beautiful by using so-called green alternative pesticides and practices. Alternative methods of pest control ( i.e. green alternatives, organic pesticide-free maintenance, or IPM-cultural-practices ) are INEFFECTIVE, and CANNOT BE RELIED UPON to properly maintain a golf course. Suzuki-style maintenance golf maintenance is impossible, and can only lead to catastrophic playing conditions and business failures. There will be a lot of unhappy golfers, and bankrupt golf businesses, if the golf industry goes Suzuki-style. Suzuki and his fanatжcal-operatives attempt to alarm and enrage golfers by convincing them that, if they want to avoid succumbing to cancer, their golf courses must be maintained pesticide-free. [ ?!?! ] They LIE and LIE and LIE and LIE ! Clearly, they KNOW NOTHING about pest control products and golf course maintenance. 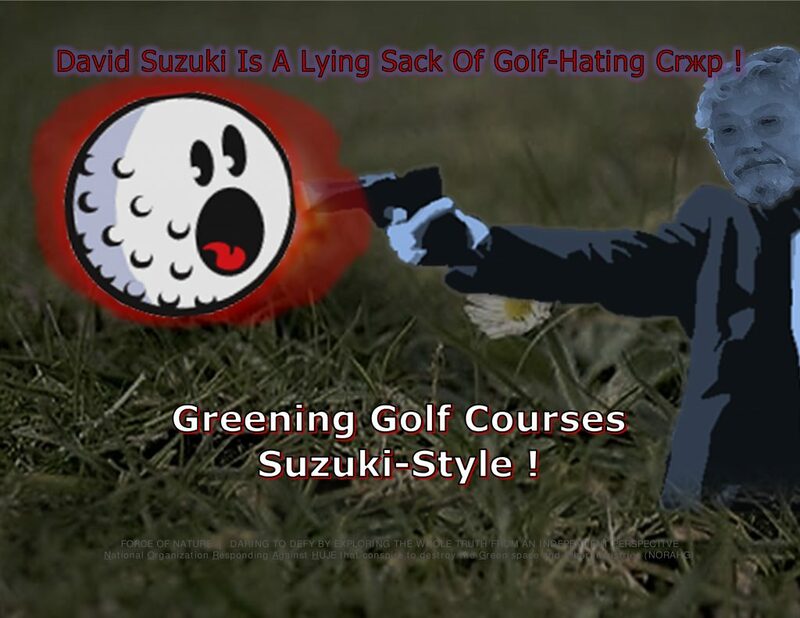 Suzuki and his operatives are lying sacks of golf-hating and anti-pesticide crжp ! 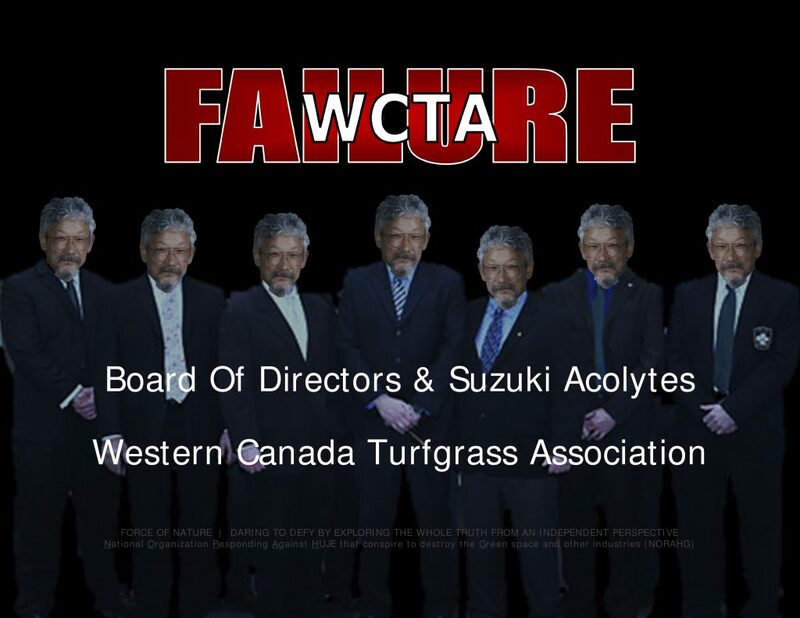 David Suzuki & his fanatжcal-operatives conspire to destroy the hated golf industry. They have self-designated themselves as the opposition to Health Canada and to every science-based national government regulator in the world. They are fanatжcally-opposed to prohibition exceptions for the golf industry. The #@! 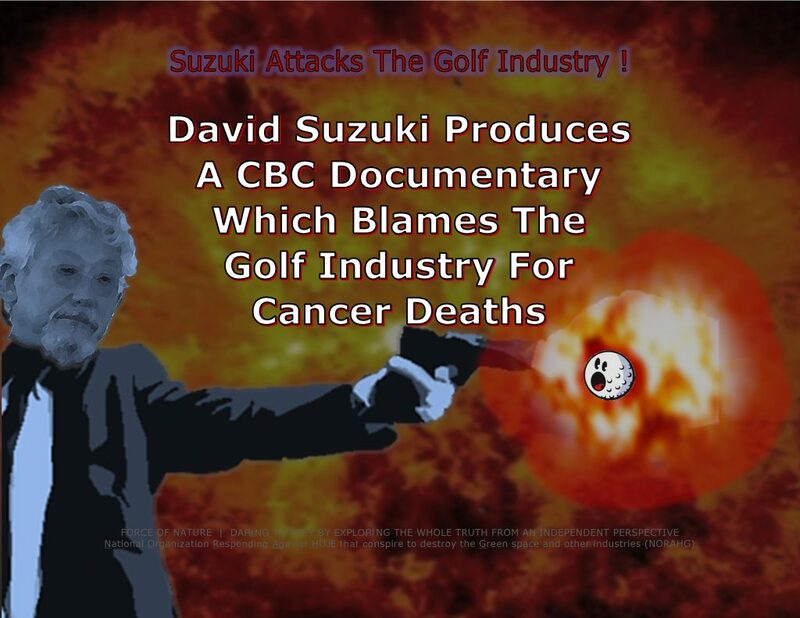 !% Suzuki-documentary, « Dad and the Dandelions », represents David Suzuki’s latest anti-pesticide campaign that falsely and strongly implies that golf courses cause cancer. Why is Suzuki doing this ?!?! David Suzuki hates golfers and despises the game of golf ― this is a fact that has been documented for over a decade. 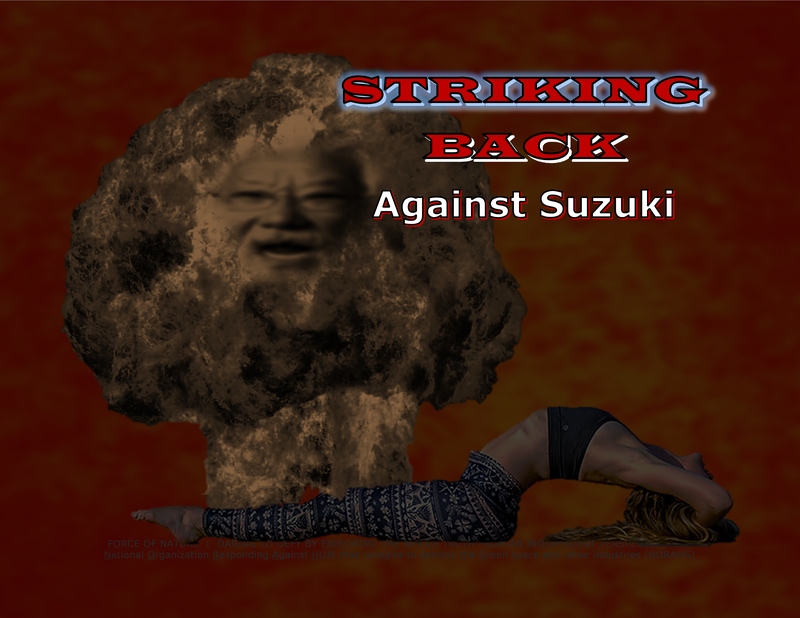 Under the false-pretext of stopping cancer, Suzuki attacks golf businesses. Do golf courses cause cancer ?!?! NO ! Is golf making people sick ?!?! NO ! Is there a cancer connection with golf’s so-called manicured perfection ?!?! NO !Overwhelming scientific evidence clearly demonstrates that pest control products are scientifically-safe, and WILL NOT cause harm to children, adults, animals, or the environment. Suzuki and his fanatжcal-operatives have shown that they are incapable of processing overwhelming scientific evidence. Do you want to trust these fanatжcs, who conveniently ignore scientific evidence, and attempt to impose their twisted life-style choices against the golf industry ?!?! If there ever was a leader of the anti-pesticide & environmental-terrжrist movement in Canada, it has to be Suzuki. 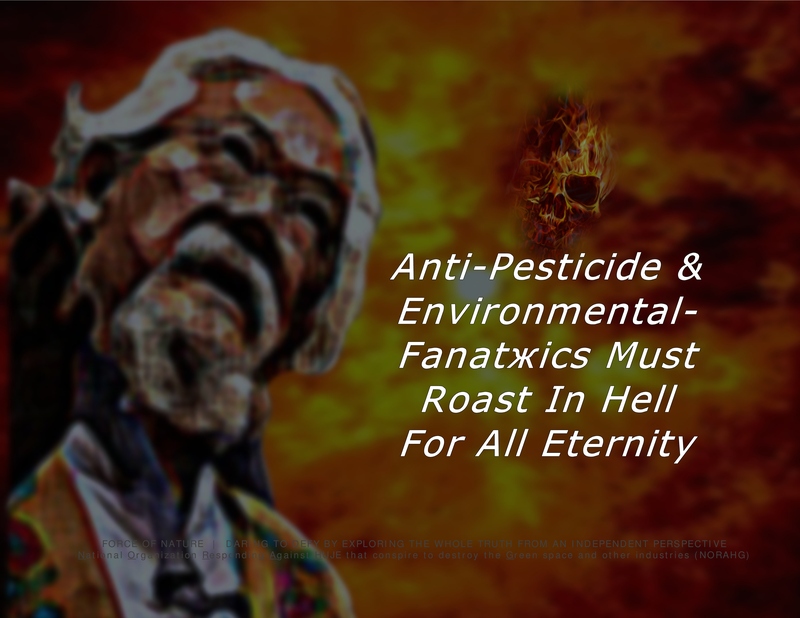 In 2008, David Suzuki and his fanatжcal-operatives conspired to impose prohibition against pest control products used in Ontario’s urban landscape. Moreover, Suzuki stated that Ontario’s prohibition would allow GOLF COURSES to continue using pesticides and gives power to the Ontario minister of the environment to allow other EXCEPTIONS, a supposedly DANGEROUS LOOP-HOLE. Suzuki used false-facts and junk science to coerce, intimidate, alarm, and enrage the public into believing that prohibition was somehow necessary. Suzuki even despicably exploited children as weapons of coercion and ultimate terrжr in order to promote prohibition. Prohibition that is imposed under the pretext of protecting children’s health is WRONG ! Pest control products are scientifically-safe, will cause NO harm, and are NO threat to children. On March 2nd, 2017, David Suzuki launched his strongest enviro-terrжr attack against the hated golf industry by spreading lies about golf courses causing cancer and killing people, with his CBC documentary « Dad and the Dandelions ». http://wp.me/p1jq40-a82 The Western Canada Turfgrass Trade Association ( WCTA ) responses to the #@! !% Suzuki-Documentary have been WORTHLESS. Clearly, WCTA leaders are NOT very good at their jobs ― and they have been dishonest about their true allegiances. How do we know ?!?! Because they have NOT bothered to state unequivocally that golf courses DO NOT cause cancer and DO NOT kill people ?!?! Thanks to them, there is NO longer any hopeful future in the golf industry ! They have doomed the golf industry. WCTA leaders are blind idiots who are incapable of understanding the golf industry’s unavoidable train wreck ! Even worse, WCTA leaders are betraying the golf superintendents and their facilities ! Seemingly, these blind idiots have become the acolytes of David Suzuki. Future generations will ask them … WHY ?!?! Why did you not act ?!?! Why did you betray the golf industry ?!?! Why did you become acolytes of David Suzuki ?!?! Nobody at WCTA cares ! The golf industry is in lots of deep #@! !% trouble ! Government officials are thinking twice before banning pesticides. Conversely, these officials would not be liable for the use of pest control products because they cause no harm and they are no threat to children. 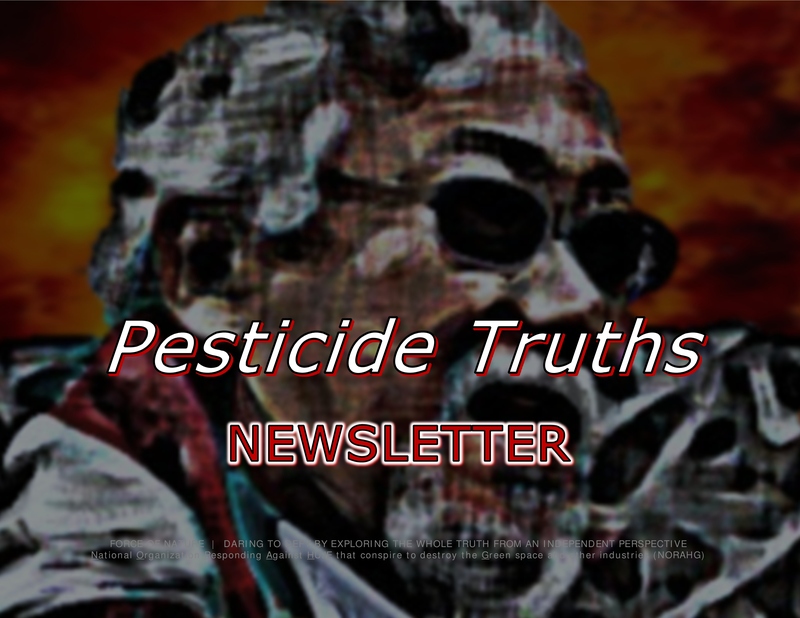 WE SPEAK THE WHOLE TRUTH ABOUT PESTICIDE TRUTHS FROM AN INDEPENDENT PERSPECTIVE ! We are the National Organization Responding Against HUJE that conspire to destroy the Green space and other industries ( NORAHG ). As a non-profit and independent organization, we are environmentalists who are dedicated to reporting about truth-challenged pesticide-hating fanatжcs ( HUJE ), like David Suzuki and his operatives, who conspire to destroy businesses that are dependent on the use of safe and effective conventional pest control products. We also report on the work of several highly-rated leading experts who have recognized expertise, training, and background in matters concerning pest control products, and who promote environmental realism and pesticide truths. Not surprisingly, enviro-fanatжcs have demonstrated that they are incapable of processing overwhelming scientific evidence. Should we trust these fanatжcs, who conveniently ignore scientific evidence, and attempt to impose their politicized-doctrines and twisted life-style choices against our society ?!? !